Sales come first! That’s a popular ethos in the world of contract catering. Having a healthy pipeline and impressive annual growth is vital for many reasons. Apart from the obvious financial benefits, it creates positive PR, giving confidence for prospective clients by demonstrating an ability to consistently cope with increasing scale as well as making a company more attractive on the recruitment stage. It also helps create new opportunities for the existing team, aiding in team retention and career development. Despite the benefits of new business coming in, there are pitfalls. The sales process for each new contract can take months of work with costs ranging from several to tens of thousands of pounds with no guarantee of winning. 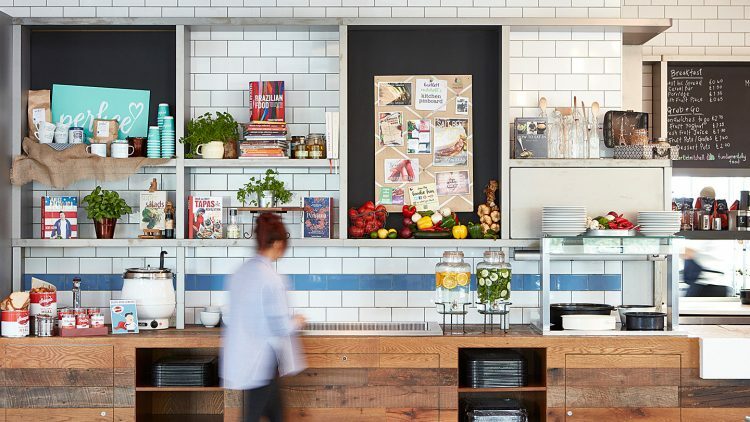 The bartlett mitchell mission statement is to build long-term relationships through delicious food and great service with an inspirational creative edge. It is this fundamental focus that makes all the difference to how we approach our business. It makes little business sense to invest in all the work and risk of chasing new business if you allow it to simply leak out the bottom by not retaining your existing client base. There is also the added benefit of your existing clients helping you grow your business through references and word of mouth. The old adage is true: “A bird in the hand is worth two in the bush.” If a company is in the service industry, which we are, surely valuing your existing customers and team members should be at the core of what you do. Retaining business has huge benefits. It is vital to maintaining company turnover and profit. It allows you to continue developing your team members, rather than losing them to you competitors, so you have people ready to step into new roles as they grow with the company. Possibly more important than anything, it is the single biggest influencer to your reputation. Why would any client or catering professional want to work with a company that had a reputation for losing its contracts? Many companies do focus on retention, but they go about it the wrong way. They win a contract, give it a huge amount of focus during the initial opening period, coast for the mid term, then pull out all of the stops when the contract is 3 to 6 months away from its end in the desperate hope that they will retain it. That approach simply doesn’t work. Client and teams see right through the last minute efforts, as they just highlight how little focus they’ve had since their “grand opening”. At bartlett mitchell, we start from the ethos that you must treat every year as if it was the last. We do not allow complacency and stagnation to set in. We ensure that we have a constant influx of new ideas. As an independently owned company that does not have its profits being funnelled out to share holders, we are able to invest 100% of our profit to constantly improving ourselves. Building a better infrastructure, improving our IT platforms, investing in research and development to deliver more and more innovation is our ethos. Investing in our teams and their development and leveraging better, mutually beneficial deals with our suppliers, enables us to pass all of that on to our clients. As the company grows, so does the value we can offer all of our existing clients and teams. Every week, our senior team meets to specifically discuss the retention of every one of our existing clients. We set annual business plans for every contract and review these throughout to ensure we are delivering on our promises. We have quarterly strategy sessions to brainstorm new ideas and review our previous actions to ensure they’re adding value. We do not have one AGM, we have two, as we want our teams to be engaged and empowered. We have quarterly team meetings and have internal social media channels to ensure we’re sharing best practise and new ideas. We have monthly innovation days where we take team members out to see farms, suppliers, markets and high street offers. We have invested hugely in building our talent team, that not only supports our business during holidays, sickness and vacancies, but creates a pipeline of new talent that is constantly joining the bm family. We have invested in a People Experience Manager whose only role is to ensure our teams are getting the best possible experience as they develop their careers with bartlett mitchell. Our culinary support team has quadrupled in the last 5 years. We have developed a partnership with Adam Byatt at his Michelin starred restaurant Trinity, where we host monthly masterclasses to add to the inspiration available to our chefs. Our IT infrastructure is designed to work more efficiently than any other system on the market, allowing our teams to focus on what’s important… food and customers, not sitting at a desk! Our supply chain is one of the most highly decorated in the industry for it’s sustainability, competitive pricing and quality. Our coffee brand Perkee is the most highly decorated in-house coffee brand in our industry, having won multiple awards for CSER and marketing and it is the only brand in contract to have won the 2 stars at the coveted Taste award for quality. All this focus on enhancing what we do is part of our DNA. It is what makes the company an exciting place to work and continually adds value for our existing clients. And it would seem to be working. We have one of the highest retention rates in our industry at 98.2% and, because of that, we have been able to sustain consistent growth year on year as we not only gain new contracts, but organically grow our existing business. Our mission statement hasn’t changed since Wendy and Ian founded the company, and it is this focus and commitment to our existing clients and teams that will continue to make us success no matter what the future brings.